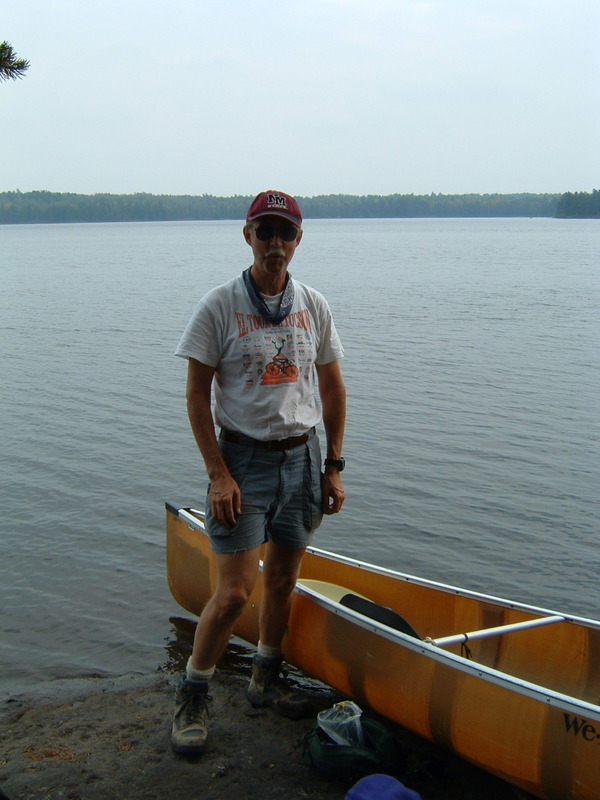 Forty-five years ago, after three summers at Camp Pathfinder, a canoe tripping camp in Ontario’s Algonquin Park, I became staff, “third man” on canoe trips. Being staff was different. I no longer knelt in the bow, looking for rocks and setting the pace; I was in the stern, responsible for steering, orders and keeping up with the other canoes. When we reached the portage, I flipped the 90 pound canoe over my head, carrying it anywhere from a few yards to four miles. I no longer had to wash dishes, only chop wood and help cook. But I had difficulty with my new role. I abused my new power by excessively bossing campers. So, on my second trip I was third man under a second man who had never been a camper with my experience. That hurt. On my third trip, 14 difficult days, I struggled so much that I didn’t ask what my rating was. Instead, I snuck in the cabin one night where the ratings were kept, and saw mine: “He needs a LOT more tripping experience.” I never forgot the pain of seeing those words by flashlight. They were true. The next year, I was 17, stronger, and vowed to do better. I was sent out as second man, paddling and carrying well, kinder to campers. I realized that my job was to ensure they had a good time on the trip, even as they worked hard, for hard work is what makes a canoe trip so satisfying. On the first day of one trip, the head man and third man were hung over from a previous day off, and I had to keep telling my two canoe mates to slow down so we wouldn’t lead the trip. When we reached the dreaded 1 1/2 mile Iris-Alder portage (named for the lakes it connected), I was allowed to go first. I blasted over the wooded, rocky, swampy, hilly trail in 20 minutes, canoe on my head, well ahead of everybody. I was second man for 3 more trips that summer. There was a hierarchy of neckerchiefs worn by the staff. It was an unwritten rule that nobody but a head man wore red, second men blue. Pathfinder was and is known for its challenging trips and its red canoes, which today are part of their e-mail address. That summer in 1966, I wore blue. To entertain the campers, I thought up games like tree golf (I won’t describe it) and told scary ghost stories around the campfire. When a camper’s asthma flared up on one trip, the head man and third man took him to help, several hours away. I was left in charge, nervous, but thrilled to have the responsibility. My ratings were good, and my last summer, I was promoted to head man on short trips. I bought my red neckerchief, proudly put it on, and at 18, took 8 other lives under my care into South Tea Lake. I navigated, carried canoe and a pack together, chose the campsite and cooked the meals. The trip was only three days, and I was familiar with the area so that navigation wasn’t a problem, but I was in charge of two other staff and six pre-teen boys—no adults anywhere. Even today, I am amazed that I was given such responsibility at my age. Command changes one’s perspective. When the campers swam, I counted heads, over and over again. If I didn’t see one, I got everybody to stop playing until I was certain. As head tripper, I had to decide the menu, time the meal right, and make special goodies, like fudge, which was how everybody rated a head man. And every night in the tent, I listened to every sound, anybody crying out, responsibility weighing heavily on me. Back in camp, I wore the red proudly, the way an airliner captain wears four stripes, or the commander of a naval vessel wears the five pointed star in a circle on their right chest pocket signifying current command at sea (left pocket for former command). I took a second trip as head man, the responsibility still weighing heavily on me. Two days after that trip, I went out as second man on a better trip, just like a pilot of a 737 becoming a co-pilot on a 747. I put my blue neckerchief back on, helped outfit, did my job well, and made sure the campers had a good time. I never wore blue again. In late summer, my fourth trip as guide, I took six men six days on a super trip to Pine River farm and Big Trout Lake. I didn’t remember all of these trips, but Pathfinder’s Web site lists them going back to my era. My fondest memory of my final trip was a day a camper couldn’t carry his pack, so I carried it and my canoe—at least 140 pounds—a half mile with no trouble along the slippery shoreline of the Tim River. To this day, I have worn the red neckerchief on nearly all the 60 additional canoe trips I’ve taken. Occasionally, I put on the blue as a reminder of the days I wasn’t in charge and what I had to do to earn red. I have no other colors in my collection of neckerchiefs. I practiced medicine for 20 years, a hierarchy if ever there was one, but I never once thought about the red neckerchief. I wish I had. For the past eight years, I have been a volunteer math tutor at two high schools, never being as busy or as in demand as I had hoped. So this year, I set up a program to be an on-call volunteer substitute math teacher, teaching when the substitute was unable to do so. I have taught twice, and that is a huge step up from tutoring, like being staff. But I still felt I was wearing blue, not red. I wanted to be in charge, to take full responsibility for running a class, even if only for an occasional day. I got my substitute certificate and waited. One day my call came from a statistical colleague, wanting me to teach AP statistics, sports statistics and his algebra 1 class. I looked at his lesson plans, made modifications that I felt might help, and went to school to teach–by myself, no certified substitute in the room. I put my red neckerchief on the desk beside me. No student noticed it, but I looked at it frequently. As expected, I made some mistakes that first day, but one of the students left the class saying, “You’re the best sub we’ve had all year.” I won’t take the neckerchief every time I’m called, but I will take it often, to remind me of what being in charge means—the responsibility, the worry, the challenge, the chance to do well. 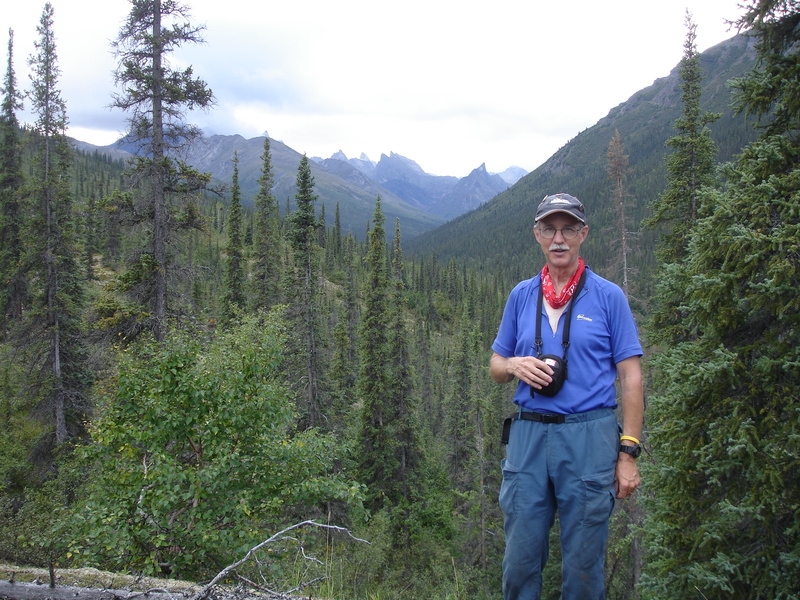 Most importantly, I will remember where I have worn red: on the lakes and rivers of the Canadian Shield, from Algonquin to ANWR, and many places in between. I will remember the rain and sun, bugs, moose, fish and loons. I will remember those days at Pathfinder, the eyes of my fellow travelers reflecting the light of campfires from Little Island Lake to Big Trout, my being in charge of the whole trip. I earned the red once, and I have earned it again, doing different work, once again in charge. This entry was posted on January 7, 2010 at 17:26 and is filed under 2010, COLUMNS IN "REALITY CHECK", MY WRITING, UNPUBLISHED OUTDOOR WRITING. You can follow any responses to this entry through the RSS 2.0 feed. You can leave a response, or trackback from your own site. Wonderful tribute to Pathfinder. Thank you.